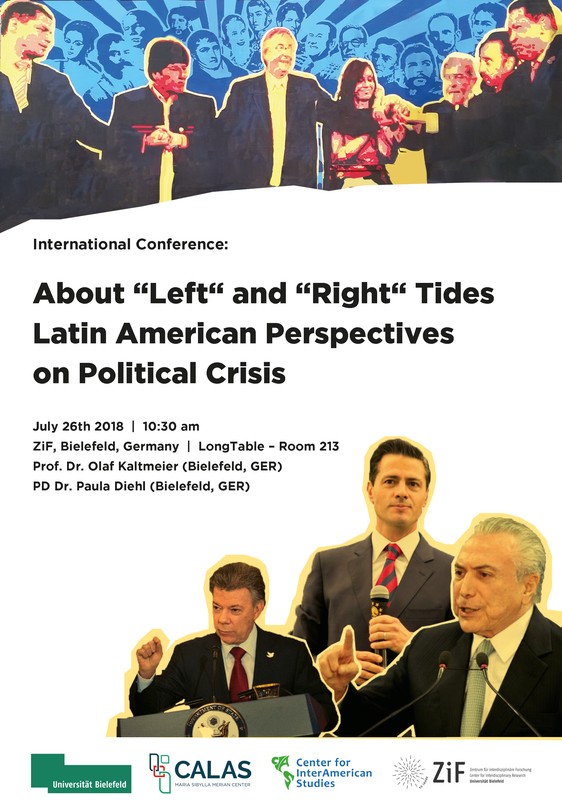 International Conference "About „Left“ and „Right“ Tides. Latin American Perspectives on Political Crisis"
Political imaginaries in Latin America are recently characterized by strong antagonisms and conflicts. In the 2000s the region has witnessed a considerable rise of left-wing governments. Some observers have called this conjuncture „pink tide“. Recently this „pink tide“ has been facing some strong internal political crises. The problems range from populism to political economic programs (neo-extractivism and redistribution) to transformations of the political culture. In some regions a strong conservative backlash has been observed, which finds its highest expression in the return of conservative presidents in Argentina, Brazil, and Chile. Most of them have promised a return to the neoliberal economic politics of the 1980s and 1990s and some also promote an ultra-conservative political culture that favors white elites. In this context this conference tries to understand the dynamics of the transformation of political imaginaries.